Apple's decision to keep the majority of its iTunes store accessible only to those who have an iPod, has come under fire by a consumer watchdog in Norway. The Norwegian consumer group is threatening to sue the company as 'closing off' iTunes to other MP3 players means that Apple is in breach of consumer laws in Norway. A spokesperson for the group, Bjoern Erik Thon, said: It's a consumer's right to transfer and play digital content bought and downloaded from the internet to the music device he himself chooses to use. "iTunes makes this impossible or at least difficult, and hence they act in breach of Norwegian law." The decision to take Apple to court isn't a rash one, as talks between the company and the watchdog have been on-going but ultimately, er, fruitless. 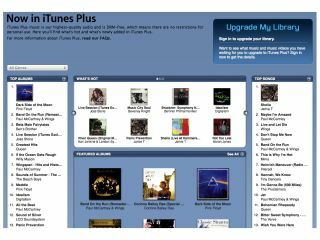 "In February 2008, the Consumer Ombudsman met with iTunes in Berlin. Here, iTunes underlined that they wanted to sell music without DRM-technology, and that they shared the Consumer Ombudsman's aim of full interoperability in the online music market. "No progress has been reported by iTunes since our meeting in February 08. The consumer's freedom of choice in the online music market is an important right. This is a matter of great principal importance." Apple has until 3 November to put its case forward to the Market Council.